Comfortable and economical accommodation in the heart of the city. 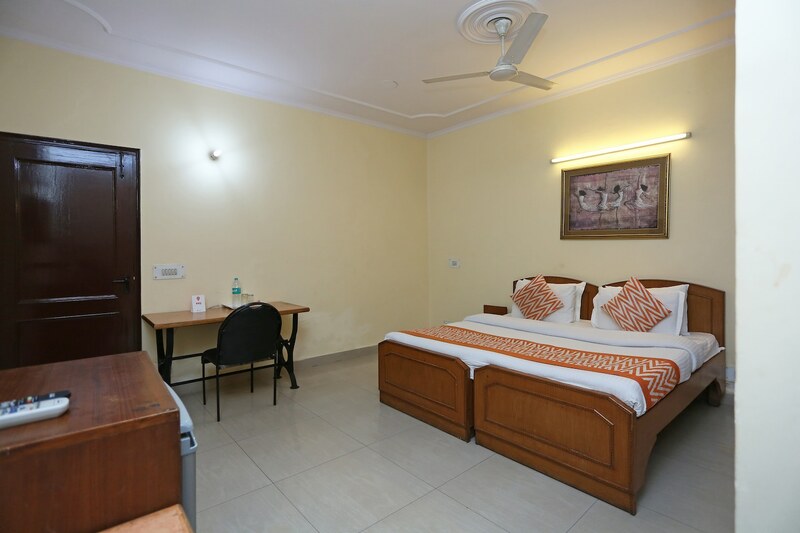 Hotel Kalkaji Residency is a budget-friendly stay option located in Kalkaji area, Delhi. The nearest Bus Stand and Metro Station is Govind Puri, which is within walkable distance. Places of interest like Shri Kalkaji Mandir and Lotus Temple are very close by. While others, Khirki Masjid, Qutub Mandir, The Ruins of Qila Rai Pithora, Tughlakabad Fort, Lodhi Era Fort are within few kilometres and can be reached by local conveyance. The amenities offered are TV, AC, King-sized bed, heater, geyser in rooms and seating/living area, parking facility, power backup and free Wi-Fi. There are many restaurants and cafes nearby.